Do You Have What it Takes to Become a Trader 20 Signs | AudaCity Capital - London - Proprietary trading firm - Funded trader program - Hidden Talents Program . Have you always wondered why some forex traders are so great while others can never seem to get a single trade right? 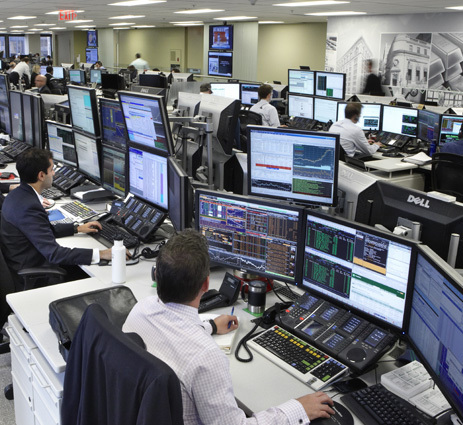 Here is a list of signs that you may be the next big thing in the world of forex trading. The left half of your mind is all about logical and analytical thinking. Logic and analysis are what ensure success in forex trading. It helps you understand charts and take logical steps to execute trades. If you always get excited when presented with charts and you love to analyze data, this is a sign you are a born trader. If you wish to succeed in forex trading, you have to reign in your emotions. Stability in emotions is crucial to ensuring you can maintain discipline when you trade. Most people usually deviate from their set plan due to emotions. Some people argue that demo testing for a few months is the best way to become a pro in forex trading. Others argue that learning to trade on a micro account is the best way to understand forex. You can join forex communities and find free systems or find a mentor. The goal is to get hold of your emotions and control them. This is something that you have to learn and hone with time. If you get hold of your emotions, you stand a better chance of avoiding any blowouts. Forex trading success comes due to constant learning. Once you settle on a system, you will want to investigate all contributing factors and ensure that you understand them. However, keep in mind that not all information from all your tools and charts is going to be useful in your system. Even if you do not automate your trades, you must have a good idea of how algorithms work and why. Most traders start manual, but they include some automation with the aid of algorithms. If you are able to take in information and absorb its quality, you were born to be a forex trader. Forex trading is all about looking at information and acting on it. In forex, if you delay, you could lose huge exit and entry positions. With a good strategy, you will be able to master your hesitation. It can also help you to master fear, which is usually costly. If you have been using a demo account to understand the forex market, you can learn a lot from it. However, if you have been making poor decisions in an attempt to make the most money in the least amount of time, do not expect to do any better when you go live. Like a good trader, you need to understand all the tools, even those you do not use. If you have no grasp of automated trading, you are missing a huge opportunity. If you have a system and you follow it no matter how tough things get, you are destined to succeed in forex trading. In forex, being a ‘sheep’ is a recipe for disaster. If you hear everyone is moving in the same direction, take a step back and ask yourself if you really want to follow the flock. If you have nerves of steel, you were built for forex trading. If you do not, this is something that you need to develop. The forex world is full of vultures; trust no one. There are people selling signals and tutoring on how to succeed. However, do not believe them without continuous testing. Arrogance is a step away from overconfidence. Do not assume that since you had success in the past, you will have it in the future. To keep winning in forex, you will need hard work and research. If you wish to succeed in forex, you need to have a passion for it. Genuine interest in the focus will help you stay interested in what is going on and how it might affect the market. You need to pick the characteristics in a broker that you believe will help you succeed. These include security, reliability, speed, and spread. Many people in the forex world are on the hunt for a quick buck. Do not be one of them. These people are often lured into traps with stories of easy success. All the points above can be countered with hard work. Even when you do not have the talent for forex trading naturally, you can work so hard that you become good at it. All the traits can be built up with time if you are tenacious enough. Apply for Hidden Talents Program.